Adverts sit across genres. While undoubtedly their primary purpose is to get us to buy the object of their attention, they can also revive the career of a pop star or bring a song back to prominence. Celebrities we’d long forgotten can return to our lives in adverts, others can go on and on like the evergreen Twiggy who exists now only as a Marks & Spencer icon. There are now several popular websites devoted to TV and cinema adverts and we can now see them in isolation as separate pieces of televisual art when we want thanks to the likes of You Tube. IKEA are a furniture company whose first store opened in Sweden in 1958 and who now have over 300 stores in more than 35 countries employing 130,000 people. In 2009 the company’s turnover was 22.7 million Euros. This sort of makes them the Abba of the furniture world. The business was founded by a Swedish entrepreneur called Ingvar Kamprad, who lived in a place called Småland where he started a small furniture business in the late 1940s and used his experiences of Småland as a concept. He wanted to offer good home furnishing products and design at prices much lower than competitors by using simple cost-cutting solutions that did not affect the quality. The name IKEA derives from his initials I and K, plus the first letters of Elmtaryd and Agunnaryd, the farm and village where he grew up. Mother has offices in London, New York and Buenos Aires. Mother London is the UK’s biggest independent advertising agency with a reputation for being extremely creative and progressive. Their philosophy is "To make great work, have fun and make money. Always in that order." Amongst Mother London’s many awards they were named Agency of the Decade in 2009 by `Campaign` and have previously won `Campaign’s Agency of the Year in 2008, 2002 and 2001. They have also won the British Television’s Advertising Awards’ Agency of the Year twice, `Marketing` magazine’s Agency of the Year and in 2005 the Marketing Services Financial Intelligence declared that Mother was the top best-run, privately owned marketing services agency in the UK, based on financial credentials. They won three awards at the Radio Advertising Awards in 2010. Mother London have already done ads for IKEA, including the memorable `cats in Wembley Stadium` that got people talking earlier in 2010. The idea of the ad is to spearhead the concept of IKEA kitchens being functional and durable and therefore a perfect location for a party. Mother and IKEA set up a series of kitchen party experiments across the UK. To kick of the campaign a new version of the Jona Lewie song `You’ll Always Find Me in the Kitchen at Parties`, mixed by legendary producer Arthur Baker was used. 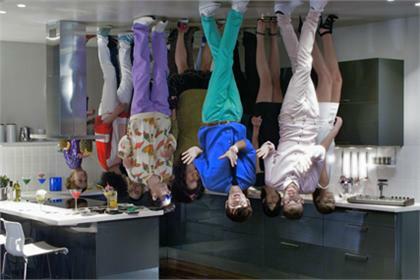 The song was performed by UK group Man Like Me, the duo moving between four different types of party in four different types of kitchen. A minute long ad would air on TV which was an edit of a full length 3 minute version available online to support the track’s release as a download single., When you watch the video you can roll over items featured and purchase them from the IKEA Kitchens site. Jona Lewie was born John Lewis in 1947 and joined The Johnston City Jazz Band, while still at school in 1963. He became a blues singer and pianist as well as a songwriter and contributed to compilation albums in the late 1960s. In 1969 he joined Brett Marvin and the Thunderbirds. In 1972 under the `nom-de-disque` Terry Dactyl and the Dinosaurs they had a hit with `Seaside Shuffle`. Like many New Wave stalwarts, Lewie was already something of a veteran when Stiff Records signed him and in 1980 he had a hit with `You’ll Always Find Me In The Kitchen At Parties` and an even more enduring one with `Stop The Cavalry`, now a Xmas music staple. It was never actually intended to be a festive single but the style and festive references sealed its fate - it was actually a summer hit in France. He had a few other hits abroad but not in the UK and continues to tour and record to this day. He was a willing participant in the ad, appearing in each party scene. 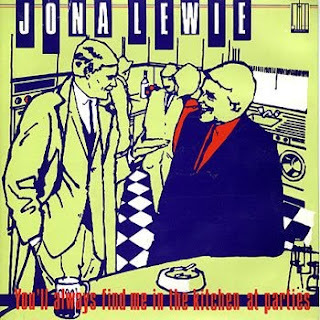 `You’ll Always Find Me in the Kitchen at Parties` was written in 1980 by Jona Lewie with lyrics by Keef Trouble (though Jona re-worked the story line ending) and originally appeared on the album `On The Other Hand, There’s A Fist.` It reached number 2 in the UK charts. The lyric is very much redolent of teenage or student parties of the 1970s or 80s when those less popular people would end up hanging about in the kitchen rather than being at the centre of the action. “I'm no good at chatting up and I always get rebuffed,” it begins relating how the guy is searching for a new girlfriend at various parties. “You will always find him in the kitchen at parties, “ trill the nonchalant female backing vocals. A new version of the song was recorded for the advert by Man Like Me, a North London based duo consisting of Johnny Langer and Peter Duffy. When asked to describe themselves they say they are like “a slow cooked Tagine.” Go to www.manlikeme.net to discover if in fact this is true. The song has a modern sheen but is not too different from the original with Man Like Me half speaking the verses in a Jona Lewie manner. Apparently Jona Lewie did actually get a free kitchen from IKEA but Man Like Me didn’t. 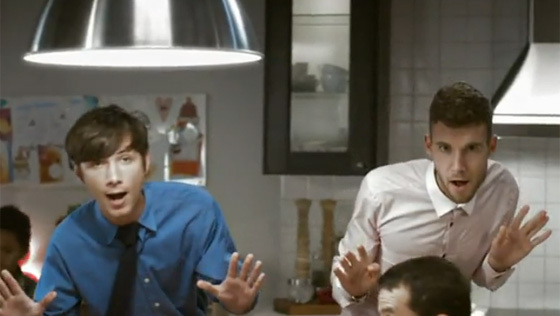 The ad features four different kitchens, each with a distinctive look and through which the two guys saunter while talk / singing in their Jona Lewie type voices. The kitchens are filed with an assortment of guests and some deadpan backing singers. There’s some funny gestures, a couple of amusingly deadpan backing singers and the camera flips over when the participants begin to “dance in a new way”. There are two versions of the ad, the TV slot runs to a minute and begins with the two blokes emerging into the first kitchen. The full length version last 3 minutes and includes a brief opening sequence with them walking along the road and into the house wondering whether they’ll know anyone there. At the end, the house empties and the two backing singers are waiting outside; when one of them goes to chat to them we hear the other advising him to “keep walking”. Then it cuts to Jona Lewie himself walking down the street humming the tune followed by the two girls. Result for Jona!